If you’ve ever stood in the cheese section in any grocery store, you’re well aware that cheese board ideas can be super intimidating. There are literally thousands of cheeses from all over the world! And apparently, some of the very best ones smell awful! How do you narrow it down? What cheeses go well together? How in the world does one pronounce Gruyère? I might not be able to help you with your French accent, but I’m here with some great cheese board ideas as well as a guide to creating a cheese plate extraordinaire. I promise it won’t be so intimidating once we cover a few basics. The first thing to remember when looking for cheese board ideas to create a cheese plate is that you want a good balance of flavors (strong to mild), textures (soft, semi-soft, semi-hard, and hard), colors, shapes, and sizes. It’s helpful to find a reputable local market with a cheese counter, and become acquainted with the cheesemonger and the cheese. All of the cheesemongers I know are not only happy to talk cheese, but are happy to let customers sample before they buy. 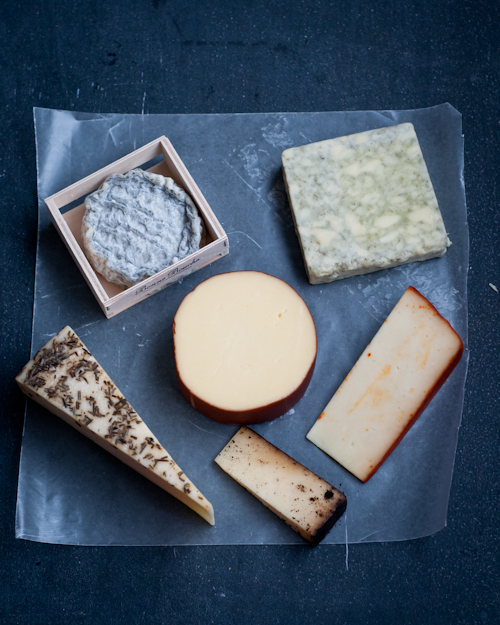 Secret #1: Cheesemongers work like matchmakers, pairing you and your individual tastes with the appropriate cheeses. The old cheese in the rhyme simply means aged. I’m talking Cheddar, Parmigiano-Reggiano, Gruyère, and Gouda. 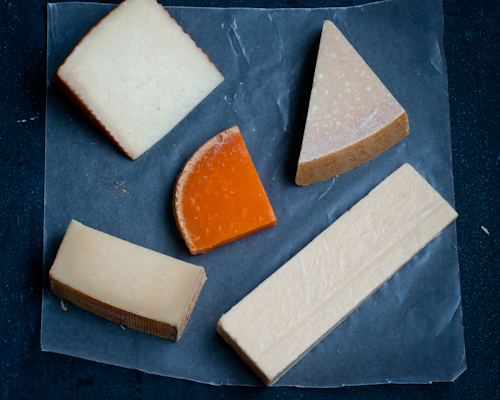 The longer a cheese ages, the harder and crumblier the texture becomes. They tend to be saltier and full of great flavor. But remember: a little goes a long way with really aged cheese. It really packs a punch. 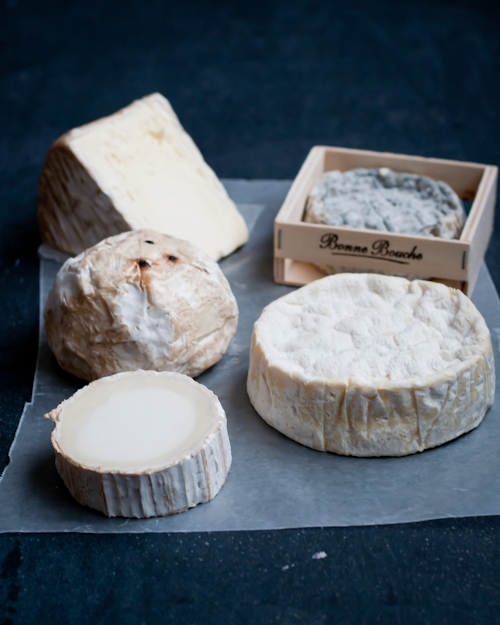 There’s also Brie and Camembert, both which have a soft, bloomy, edible, and flavorful rind that results from the surface of the cheese being rubbed with certain fungi, usually strains of Penicillum or Geotrichum. The cheese itself is usually very soft, creamy, and sometimes buttery or tangy. The longer it ages, the runnier and more delicious the center becomes. New cheeses are those that haven’t aged quite as long. Fresh cheeses like mozzarella, burrata, ricotta, or mascarpone are part of this category. They are milky-white with a higher moisture content and are very, very mild. Younger cheeses also have a much softer texture. 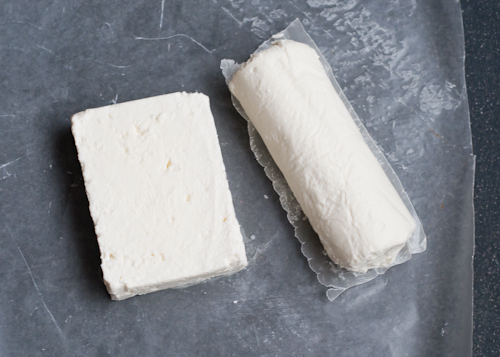 Queso Fresco and Feta are also in this category, and are crumbly rather than soft. 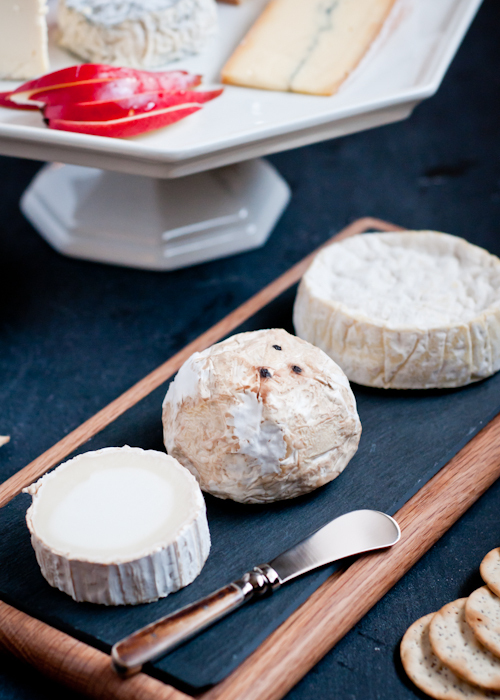 When you hear or see goat cheese, usually it refers to chevre, which is a fresh goat cheese. But there are dozens and dozens of goat cheeses available — fresh and aged. You’ll even find brie made from goat’s milk. The popular Scandinavian Brunost type cheeses, such as Norway’s gjetost, are made with goat’s or a mixture of goat’s and cow’s milk. Cheeses made from sheep or goat milk tends to have a stronger (some would say gamier) taste than cow’s milk. 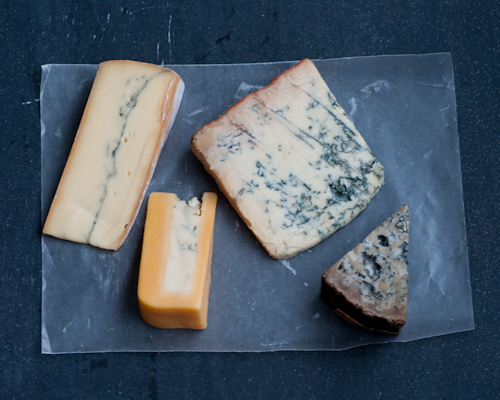 Secret #2: Almost every cheese board ideas includes a blue cheese. 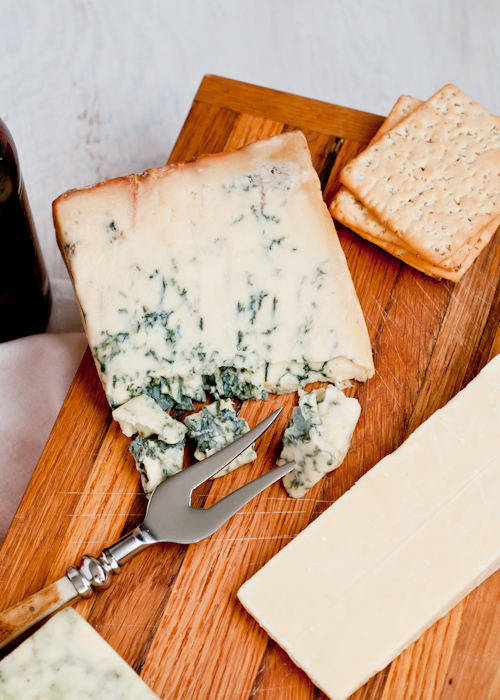 The blue refers to the blue veins that result when a cheese is inoculated with mold and allowed to age. 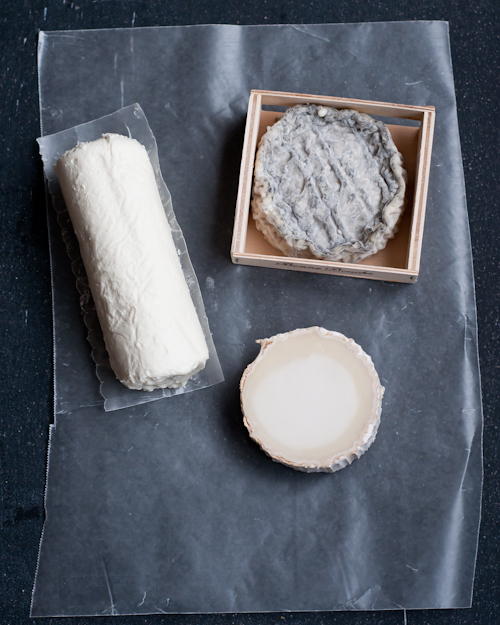 Blues can be very strong it they’ve been aged for a long time, or mild in newer cheeses. 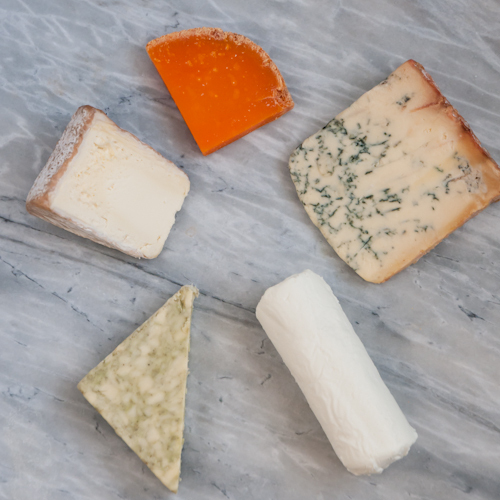 The blues pictured above are arranged from mild to strong — Morbier (not a blue, that line in the middle is ash), Huntsman (also known as Stilchester, a combination of Double Gloucester and Stilton), Stilton, and Queso de Valdeón, which is aged for a long time and wrapped in sycamore leaves. YOU’VE CHOSEN THE CHEESE…NOW WHAT? Did you buy enough? The general consensus is 4 oz. per person, though this might differ a bit if the cheese board is to be its own course or as part of a buffet table. Plan on about 2 oz. each for children. A well-laid cheese platter will look like a work of art with its wedges, wheels, logs, or squares. Three to five cheeses make a really good board, but I’ve seen boards highlighting one just really good cheese or comprised only of varieties of cheddar. If you absolutely hate blue cheese, don’t have one on your board! Maybe you really love surface-ripened cheeses and want to have a board dedicated to bloomy rinds. Go for it. There are no rules in cheese plates! Be sure to unwrap the cheese to let it breathe before you serve it. Also, Secret #3: Cheese should be served at room temperature, so plan on pulling it out of the fridge about 30-60 minutes before serving. To keep cheese from drying out, you can lightly cover it with a barely damp towel. 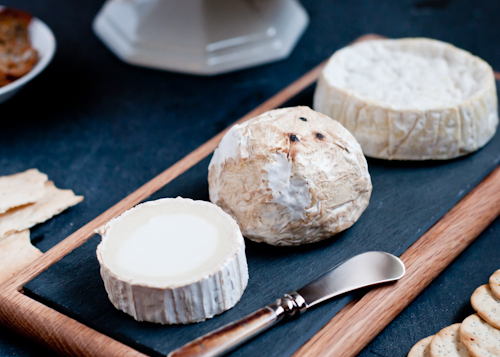 Secret #4: Typically, a board should be arranged (and eaten) from milder to stronger cheeses in a clockwise fashion. Separate any really stinky cheeses from the others so the odor doesn’t transfer to milder cheeses. Let your imagination run wild when you’re arranging your boards! Get inspired with colors and themes, and even by country or region. Highlighting local artisan cheeses can be really fun, particularly if you can visit the farm and see how they are made. 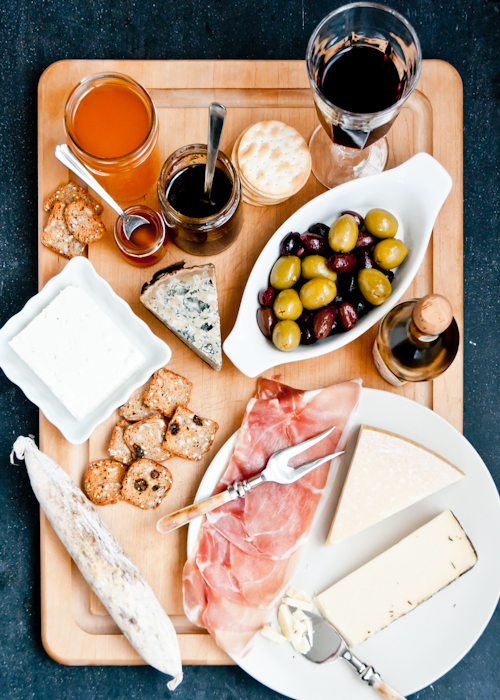 This cheese board is inspired by the Mediterannean, with Italian, Spanish, and Greek cheeses and accompaniments. 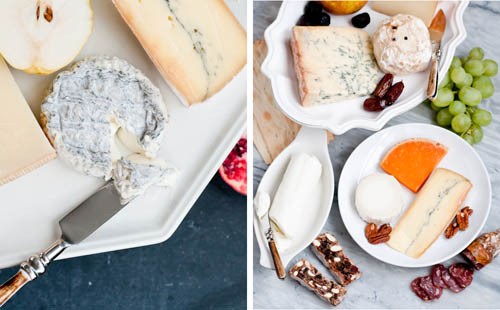 Flavored artisan cheeses are extremely popular right now. The cheese pictured above has been rubbed or infused with espresso, herbs, ash, and spices, or smoke. All of the cheese pictured, with the exception of the Sage Derby (upper right-hand corner), are made by smaller farms in the United States. Secret #5: Labeling cheeses is a good idea, especially for your more cautious guests! Reusable cheese markers are handy, as are small cards. China markers or dry erase markers are wonderful on erasable surfaces, and chalk boards are also popular for good reason: they’re cute and customizable. Man can’t live on cheese alone, and either can your guests! 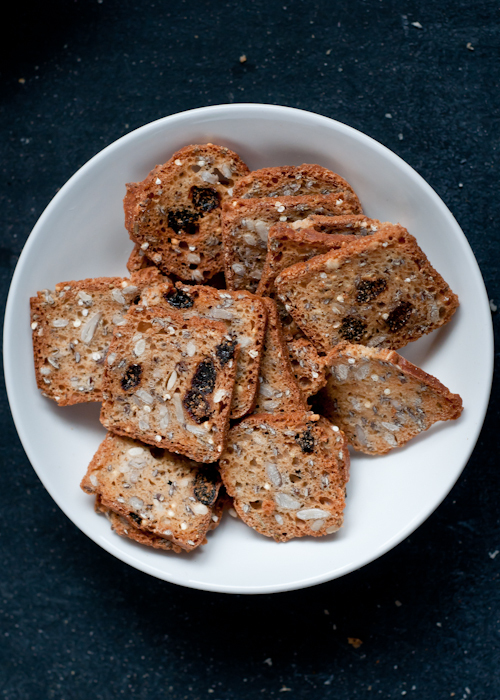 Have fun with sweet and salty accompaniments, from assorted crackers with seeds or herbs, hearty whole-grain artisan breads, to sweet fruit and nut-studded quick breads, and mini toasts. 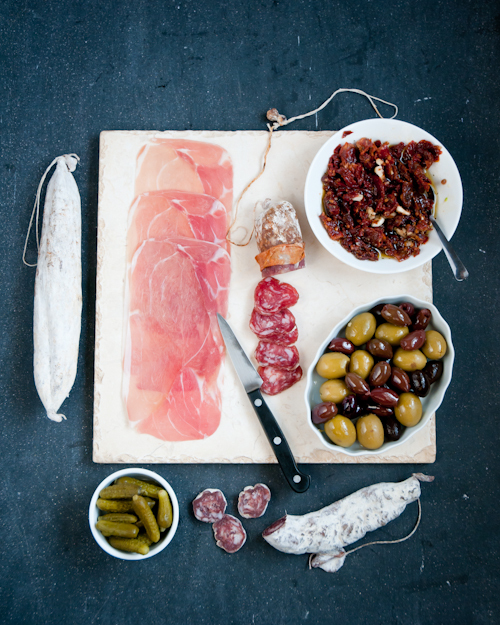 Cornichons and other pickles, olives, preserved meats like salami and prosciutto, and bright marinated sun-dried tomatoes add a savory note. 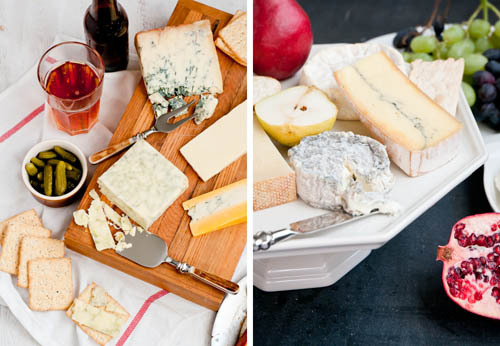 Of course, fresh fruit is arguably the best accompaniment to any cheese board ideas. 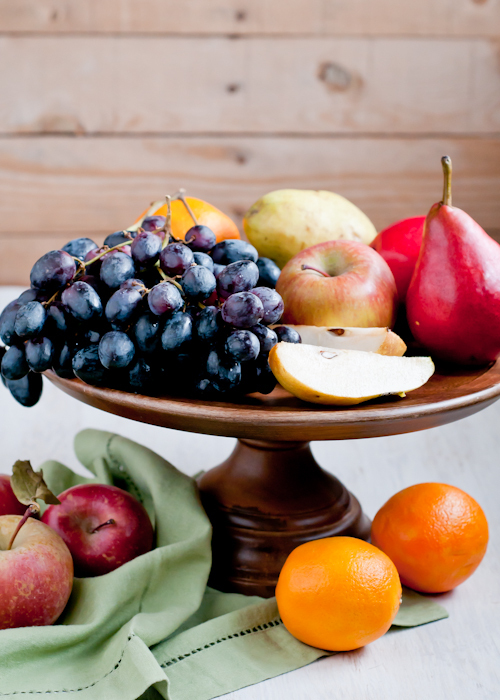 Pears, apples, grapes, and figs go best with cheese, but other seasonal fruits are also great. Like oranges and clementines, and even pomegranate arils. I also love dried apricots, figs, and dates with cheese, so I always add a bowl or two of those, along with candied, toasted or raw nuts. 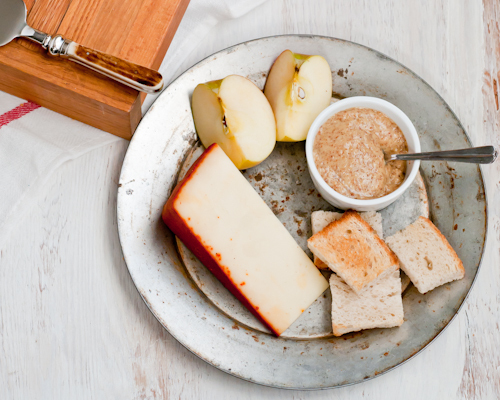 Quince and guava pastes are traditional with salty cheeses like Manchego and Ricotta Salata, respectively. 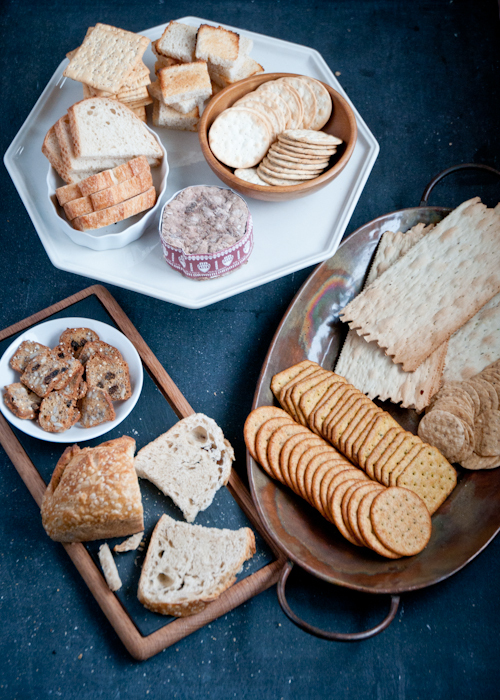 Honey and honey comb, jams, jellies, and other preserves are other popular sweet cheese board accompaniments. Secret #6: Don’t forget to have wine, beer, or fruit juices on hand as well. They help cut the richness of the cheese and also clear the palate. 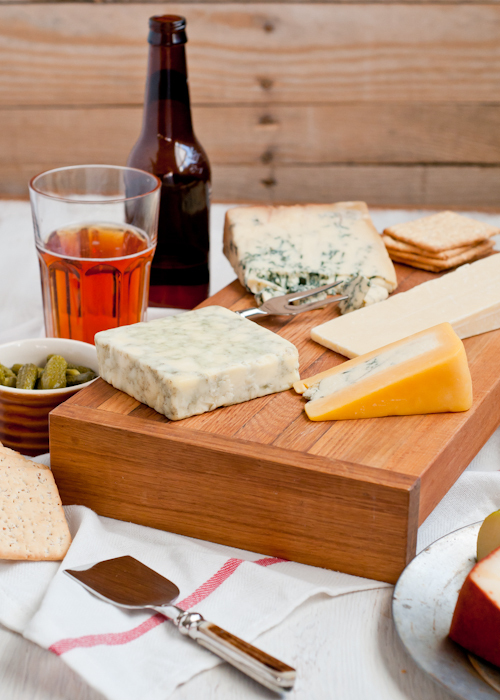 Traditionally, wooden boards with a handle are used for cheese boards. But marble slabs, ceramic and glass cake platters, shallow bowls or plates, and other serving platters make pretty boards, too. Cutting boards can also double as cheese boards. My favorite is this little slate and wood board. The final concern? Each cheese should have its own knife. And you can certainly use butter knives if you don’t have special cheese knives. 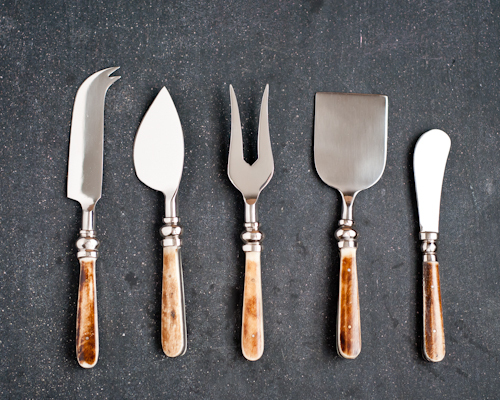 But if you are shopping for cheese knives, here’s a quick primer on the most common and often used. The long knife with the forked tip is good for cutting softer cheeses, like Brie and Camembert, and doubles as a spreader. Sometimes you’ll see it with holes down the blade which helps keep the cheese from sticking to the blade. It can be used to chip away at harder cheeses and spear individual portions of cheese. The spade-shaped knife has a sharp edge for cutting hard cheese into slices. The pointed fork is good for chipping away at harder, aged cheeses like Cheddar and Parmigiano, and blue cheeses like Stilton, and transferring cheese from the board to individual plates. The flat knife that looks like a shovel is good for cutting cheese into cubes or slices, or as a spatula to transfer the cheese to a plate. The small rounded knife is a spreader for soft cheeses. I guess the very best tip I can share is the one that has helped me the most — Secret #7: Don’t be afraid to try something new. It may smell funny, it may be blue, it may be as old as the hills, and did I mention it may smell funny? Try it anyway. You just might fall in love. P.S. — Love knowing all the secrets? Find all the posts in this series here. What a beautiful post. May I add another secret? (without waiting for permission…) Secret #8: Cut your fruits and accompanients into pieces. It may not look as nice, but guests will appreciate being able to pick up a small bunch of grapes (rather than picking them off the stems) or a few slices of apples, especially if they are holding a beverage. If you don’t pre-cut the fruit, the display may look like a still life that guests won’t want to destroy. Fantastic post! 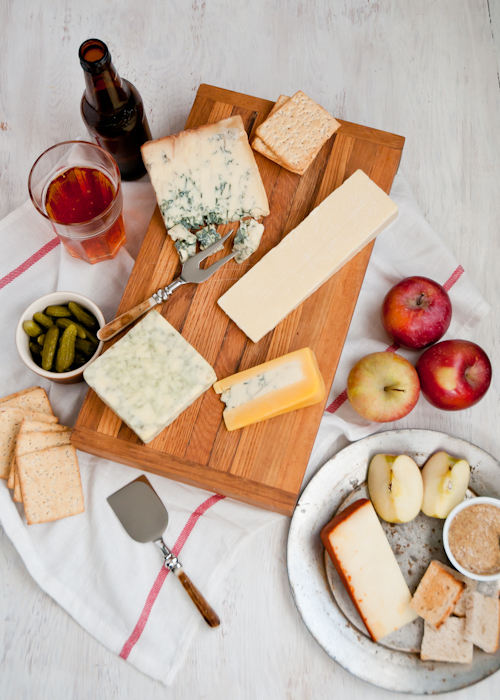 I love cheese – we often have a cheese board for dinner – and these are useful tips! What a beautiful spread! Makes me hungry for some cheese. Morbier is from the Jura and not actually not a blue cheese – the line running down the middle of it is ash – back in the day, this was added to protect from insects, now it is just decorative (and tasteless). The beautiful bright orange cheese is called Mimolette in France (perhaps it is referred to as Mimotte in the US? )- and the older it is, the tastier. It is often added to broccoli soup – and the rind is especially nice added to stock (just like parmesan). Thank you! This is just the post I’ve been looking for. what an awesome, informative post! Gorgeous photos and great advice. I was served an Italian pecorino the other day with truffle honey. It was beyond delicious. What a great post!! I love your little rhyme. We took an intro to dairy class at Williams Sonoma which covered some of the same principles, but your tutorial was much more informative (and visual!). So great! perfect post Lindsey! I am going to have a cheese party after the holiday just in honor of this amazing overview that will help me plan it. yourock and i miss you. I love learning all about the cheeses and drooling over how yummy you make it all look. I am definitely a basic cheese lover (Dubliner cheddar is about as fancy as I get, haha!). But after reading this I would love to explore these fancier ones and throw a mom’s night out party. Thanks so much for the cheese 411 Lindsey! This post is the post of my dreams. Yum a lumcious! I feel like I just went to proper-grown-up-adult-ville. Delish! I am thrilled you included Gruyere in your post. I once lived there and in the surrounding canton. I returned with my daughter three years ago since her favorite cheese is Gruyere–she was overjoyed to watch the cheese making process! While I lived in both France and Switzerland one of my favorite past times was wandering around the cheese shops and sampling at my leisure. I wish this was something we would do more often in the States. Such a beautiful, well-written, and informative post – thank you! My family has always enjoyed a good cheese board – I love to make them. This post inspires me to make them extra special this holiday. Thanks for the little rhyme! It really came in handy at the store while shopping for my Christmas cheese plate! Nice post! Good information on cheese selection and presentation. Thanks for posting! Hi Anny! Thanks for the comment. I think you are right when it comes to some (even most) cheeses, but I read this and it made me rethink the cheese-citrus combo. Can you tell me what cheese knives you have featured here? Wonderful tips. Cheese lover here. While Thailand is famous for its cuisine, cheese is just a fairly recent newcomer here and something that more traditional Thais still find strange. Hi, its good piece of writing on the topic of media print, we all be aware of media is a fantastic source of data. Thank you for the great tutorial. Good information. 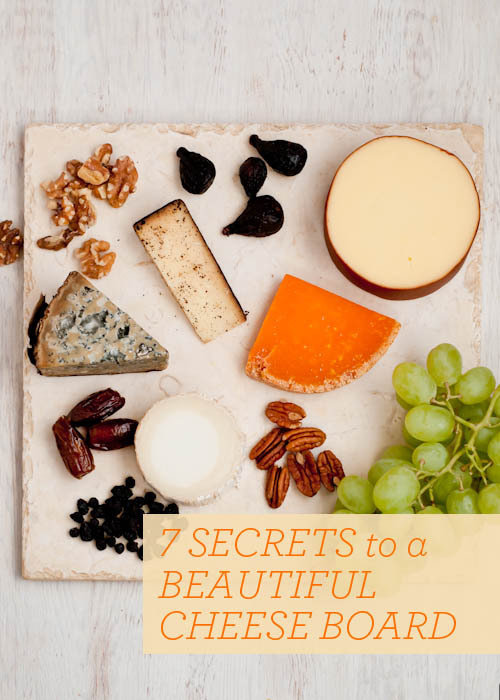 Loved your 7 secrets to a fabulous cheese board since it’s my favorite thing to make for guest as well as family. Your pictures were wonderful and I learned some new tips from your post that I can’t wait to make my next cheese board. and start making the payments. A personal loan is extended from a financial institution to a borrower purely for personal matters. reliable as far as pre-approval stage goes. award-winning timeless classic is a multicultural view of Oz with a soulful twist. almost all other such venues nationwide. Hi – I LOVE your article. Made a cheese board last night with just grapes to accompany. Can’t wait to add all your ideas. Question: I LOVE THE CHEESE KNIFE SET in the photo. I’ve tried to find it, but cannot. Do you know where I could get it? It’s the 5-piece set in your photo that looks like it has bone handles. Thanks! Those are from Williams-Sonoma. They are dreamy and I love them!